What can a vegan or vegetarian eat on wartime rations? 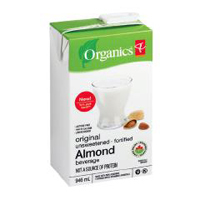 Up until now I have been consuming no meat, cheese or dairy and instead using almond milk and taking a small nut ration and extra haricot beans to replace the meat and cheese. I did e-mail THE VEGAN SOCIETY regarding what vegans were given instead of milk, cheese and meat but as yet they have not replied. The Vegan Society formed in 1944..
Vegetarians received an extra ration of cheese instead of meat. The only problem I am having during the 1940s Experiment, as a vegan, is that I cannot recreate some of the recipes. I could when I attempted to live on wartime rations in 2006 and again when I started this blog in 2009 but in this latest attempt at living 100% on wartime rations, I have become vegan. Of course, we are now, in 2012, lucky to have many meat and cheese alternatives available to use, so I have decided to alleviate my culinary frustration and use some of the alternatives as part of my rations, for the next few months. I’d like to share with you some of the alternatives I am or will be using as part of my “wartime rationing” allowance to allow me more wartime culinary creativity in my humble, messy, kitchen.. I am not a processed foods lover even though the ingredients in most of these products are very natural, it is unlikely I will stick with the meat alternatives for very long HOWEVER it will be good to be able to start to re-create some of the dishes that used bacon or beef. The cheese and dairy alternatives though are a completely different kettle of fish.. I can see nothing in their ingredients list that alarms me infact all are pretty much organic and GMO free. The DAIYA CHEDDAR CHEESE is particularly VERY IMPRESSIVE. It is the only hard or shredded vegan cheese I have ever tasted that tastes good! AND it actually melts just like the real thing. 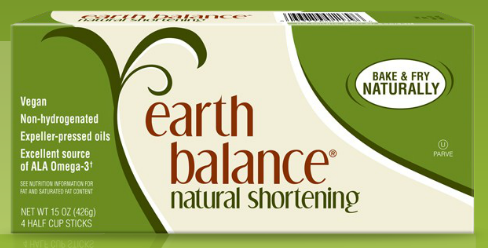 So thank you to my friend TONY LANTZ for putting me onto this vegan alternative. I can’t tell you how wonderful it was yesterday to have my first cheese sandwich in 6 months.. This entry was posted in Uncategorized and tagged almond milk, daiya cheese, meatless recipes, vegan, veganism, vegans, vegetarian. Bookmark the permalink. We are indeed spoiled rotten these days when it comes to processed vegan foods. I mean processed foods for vegans, not processed-vegan foods of course (although I’m sure many would like that). When I was (much) younger all that vegetarians got was cheddar cheese and the vegans just got weird looks and left to their own devices. Like you, I like things the less processed the better, but these nice new-fangled “recent” products add a certain practical naughtiness to the plate, especially when rationed. 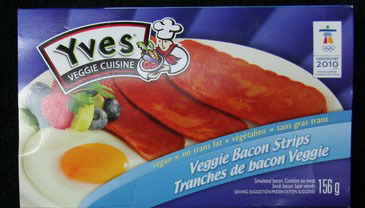 I tried some of the fake bacon rashers with my breakfast this morning… YUK! I really think I’d rather do without… I’ll give the fake ground mince a go in a recipe too but quite honestly I think I’d prefer to just do without the substitutes…. the less tampering with foods the better IMHO! 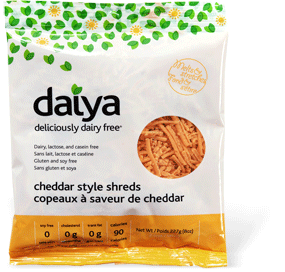 The Daiya cheese though is completely different… it is very good. It definitely contains nutritional yeast as I can taste it but it is the best alternative cheese I have ever tasted. It is such a treat to have “cheese” back on ration- I’ll keep this! Try to use smoked tofu,slice, pan fried and than splashed with Maggi/Soy sauce and fried nearly dry…there you have something tasty similiar to bacon. Don´t overfry or it will get leathery and dry and don´t make the slices too thin. The TVP is a nice add if you know how to treat it. There is pre- seasoned TVP but I mostly make my own from dry TVP, soaked in broth, than pressed until nearly dry, mixed with spices, soy sauce, kneeded untily the seasoning is evenly distributed and than pan fried as mince. A bit of miso/soy sauce/maggi helps with the meaty taste, or some mushroom broth. You can use cheese cultures with home made tofu, it turns tofu into different cheeses. Very similiar top camenbert, or this smelly, red smeared limburger cheese. There is also a nice recipe for almond feta or cashew feta to be found. I have made *camenbert* myself and it works pretty well with the cultures. Made also some cheese balls and put them in a jar with oil and herbs. If you like strong cheese taste, keep the cheese for longer in the oil marinade..but be careful and don´t break the jar. Happened to me once, the whole house smelled like this old stinky cheese that is so prized by gourmets. It has been some years since I made this kind of cheese. Nuttolene was available in the 1940s and is still made today by Granose – ingredients are peanuts, water and salt. Other brands of meat alternatives included “Pitman Nut Meat”, “Rissol-Nut” and “Nut Meat Brawn”. Soya flour was available once Lend-Lease began arriving in mid 1940. (From The Wartime House, by Mike Brown & Carol Harris). I found this info when trying to find out what foodstuffs were available back then – I’ve recently started on a rationing experiment myself. Well if it wasn’t for you I’d still be cheeseless and my life has been miserable without it these last 6 months! Now if only I could get my hands on a jar of Branston Pickle I’d collapse in total nostalgic ecstasy! Oooooo Havarty! I also like the sound of their Pepperjack and Mozarella but I have to stcik with cheddar simply to be as authentic as I can… Thanks again Tony! Hi Carolyn, my name is Alan, I grew up in London when it was being bombed and had the pleasure/displeasure of being part of a family that had to live on rations. I myself say that Adolf did a lot of us kids a favour, we had no junk food sweets and other rubbish to eat only good wholesome food, even though it was in limited supply, we did not starve. Today at 75 I still have most of my teeth and am slime and healthy enough to still do a days work, more than I can say for a lot of friends I have in this land, South Africa Cape Town, of plenty and excesses. I have a question for you, What made you turn vegetarian, vegan? religion? the diet? somebodies advice? I ask this because on the wartime diet one needed a certain amount of animal protein to balance the energy intake so one could do a days work, don’t forget working days then could easily be 18 hours without travelling time. it wasn´t the animal protein that enabled the people to work so hard and delivered energy. It was the fat. Fat was rationed and the better parts from the animal all went to the front and were preserved. Most vegetable foods delivered enough protein when eaten in a plenty ammount(and as they were not rationed, they were eaten plentily). Just fat was the problem, the calories. The fatty, less desired parts of the animal were what the people got from the butcher. The one where you needed a bit of knowledge to turn them into something the kids would want to eat. Ox tail, pig feet, organ fat round the kidneys especially…and yes the organ meat also. Especially brain was desired for the old, young and ill as it was very fatty. I am still heaving when thinking back how my grandpa had a whole brain(calf? ) on his plate and ate it with gusto. The more tough parts of the animal also contained plenty of fat and needed a good hand to turn them soft..in a way that didn´t left the fat a glibbery gelantinous mass when cooked. Protein is a bad source of energy, this is why all protein diets are used by bodybuilders to loose fat. Hi Carolyn, I had not read this day’s entry in your blog when I posted my comment about wanting to adapt the rationing to a vegan diet. Wow, you beat me to it!!!! I’m very interested in following this. I have been vegetarian for 8 years now and vegan for 14 months. I found that I don’t miss cheese. An article I read a while back said that dairy products can be addictive. That must have been true in my case. The craving is no longer there. 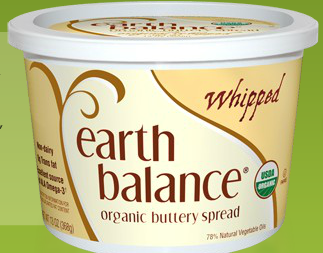 As a butter alternative, I use Shedd’s Willow Run Soybean Margarine. One pound goes a very long way at my house. Reading all your blog entries from day one will take me a while but I am determined to do it. Thanks so much! I’m not a vegan, nor am I a vegetarian. I would consider myself more of a pescatarian. With that said there are certain animal based foods and drinks I will not eat simply because they do not taste good to me. I wil be doing a 1940s ration diet starting in May 2012 and I am glad to know that we can substitute vegan products for animal based ones. I had been wondering about that myself. Thank you for doing this and sharing your results. I have over 250 pounds to lose. Have been a vegan for 23years an have been trying to find 1940s vegan info as I also want to experiment with rationing in order to save money (I am trying to afford to buy a new microwave). Some of these things are not available in Australia or expensive. Just letting you know, I am vegan, decades. I am very sorry a vegan was so rude, gives us a bad name.